A murder accused “lavished his girlfriend with expensive gifts” a week after a man was “murdered and robbed” at his rural cottage, a trial heard today. Steven Sidebottom – who is accused of bludgeoning Brian McKandie to death and stealing cash from him – is said to have “freaked out” when he heard police had launched a murder probe into Mr McKandie’s death. Today his ex-girlfriend, Kudzaishe Chiriseri, told the 11th day of his trial at the High Court in Aberdeen that she celebrated her birthday just over a week after the alleged killing. She told the court how Sidebottom had turned up at her flat in Aberdeen at one point with a “wad” of cash that she believed was “thousands” of pounds, a sum she was “shocked” by. The court was told of text messages exchanged between the pair – with one set, sent three days before the murder, referring to a “job” Sidebottom was going to do to recover money he was owed from someone. One, sent by Sidebottom to her, read: “You’re the most amazing person I’ve ever been with or met. Police launched an investigation after discovering McKandie’s body at his home. He later text again saying the “job” hadn’t gone ahead. Miss Chiriseri said she had been concerned because the message “sounded like it wasn’t going to be safe”. The court heard that on March 19, Miss Chiriseri’s birthday and just over three months after they had entered the relationship, Sidebottom had given her a new laptop and iPad. She replied that it didn’t. Around that time police had announced they were treating Mr McKandie’s death as murder and appealed for information around his death. Texts shown to the court showed a conversation between Sidebottom and his then girlfriend about that development in the investigation. Miss Chiriseri said Sidebottom was “freaking out” about the announcement. She replied: “I don’t think he went to them, no. 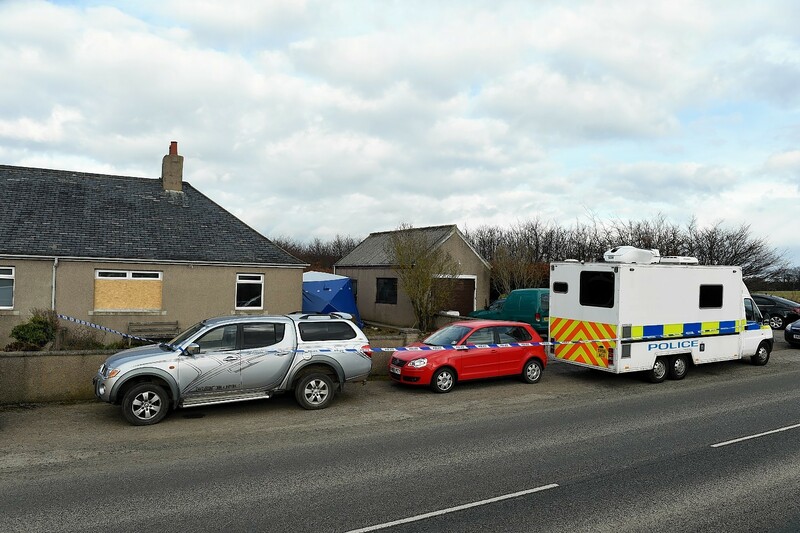 It is alleged that on March 11 2016 at Fairview Cottages, Badenscoth, Rothienorman, Aberdeenshire, he murdered Brian McKandie and robbed him of a sum of money.